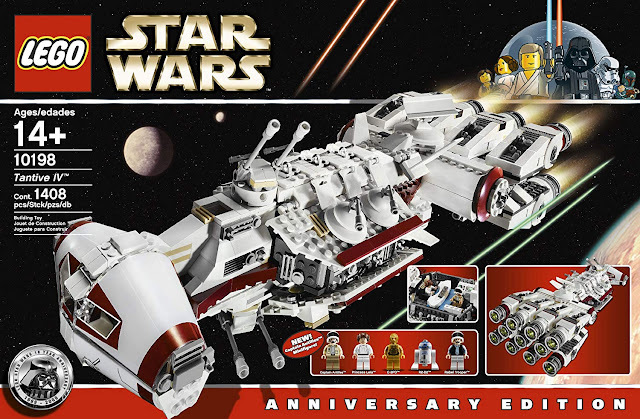 Check out this Lego Tantive IV ! 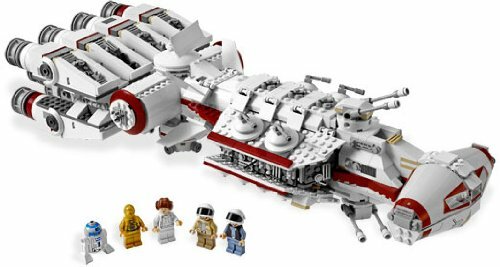 Released during Star Wars Celebration, this new Lego set of Princess Leia's Tantive IV is a modern take on a classic Star Wars ship! Open the storage compartment to reveal the cargo transport vehicle! 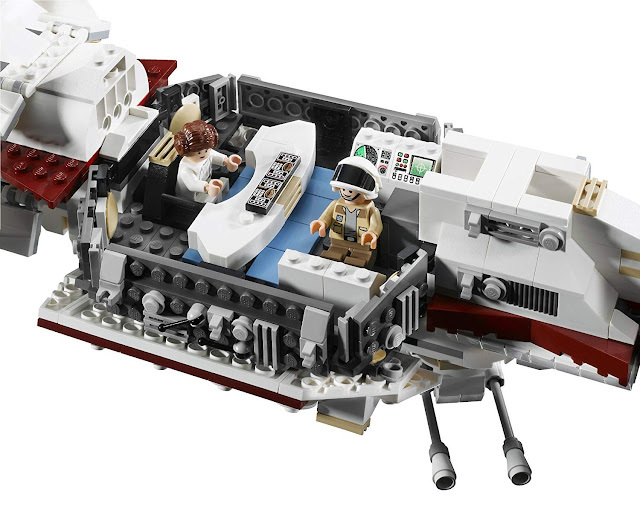 Open the cockpit and place 2 mini-figures inside; turbo laser cannons on top and bottom can rotate and elevate to go pew pew against TIE fighters. This anniversary edition comes with Darth Vader's seal of approval! Celebrate the entire Star Wars saga with this all-new version of the very first starship seen in the films! The Tantive IV features an opening cockpit, rotating and elevating turbo laser cannons, rotating radar dish, removable roof section, and an interior command center. Which means you can really play with the set - if you are that kind of collector of course! It also includes an opening compartment with removable cargo transport vehicle and 2 detachable escape pods for the droids to make their getaway with the Death Star plans!